Back by popular demand, the Holiday Entertaining Demo at The Fresh Market. A Chef of Your Own will again this year be doing a Holiday Entertaining Demo at The Fresh Market, in Dr Phillips on Sunday December 5 and in Altamonte Springs on Sunday December 12, both demos will be from 1-4. 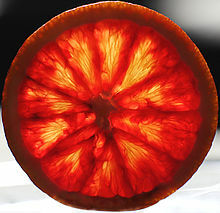 The blood orange is a variety of orange (Citrus sinensis) with crimson, blood-colored flesh. Fennel is an anise flavores vegetable that adds a great flavor to this colorful holiday inspired salsa. in a medium bowl. Cut peel and white pith from oranges and discard. A Chef of Your Own wishes Sabrina a very happy 5th birthday. Who’s cooking your Holiday meals. A Chef of Your Own can come in while you are out at the parks and you can come home to dinner. Happy Thanksgiving! Here is A Chef of Your Own recipe I have been cooking turkey off for years for my clients. It is a great way to use up those turkey leftovers. To prepare sauce, combine first 7 ingredients in a small bowl. Chill. 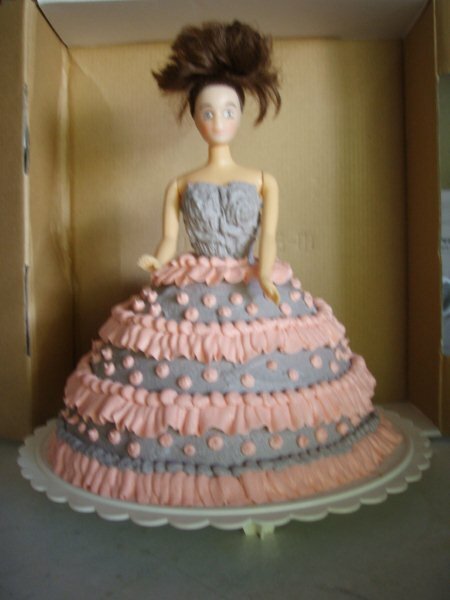 To make cakes, place bread in a food processor, and pulse 10 times or until coarse crumbs form to measure 1 ¼ cups. Set aside. Combine the turkey through egg whites. Stir in the breadcrumbs. Divide mixture into 8 equal portions, shaping each into a ½ inch patty. Heat oil in a large nonstick skillet coated with cooking spray over medium heat. Add patties, cook 5 minutes, turn and continue to cook an additional 5 minutes until golden brown. Serve with sauce. Here are a few last recipes from A Chef of Your Own for easy entertaining. In a bowl, combine curry sauce, sour cream and yogurt. Serve with flatbread, chips or vegetables. Amount of curry sauce and be increased or decreased to adjust the level of spiciness. Heat skillet over medium-high heat, add oil and swirl to coat. Add shallots and sauté until soft. Add mushrooms and thyme and sauté 6-8 minutes until beginning to brown and fragrant. Add pesto and goat cheese and gently combine until cheese melts. Spoon on top of French rounds and serve warm. This week I will be at the West Oaks Branch of the library. The address is 1821 E Silver Star Road, Ocoee, FL 34761. The topic is turkey tips and holiday side dishes. Here is a new way to cook sweet potatoes, these have been enjoyed by A Chef of Your Own clients for many years. 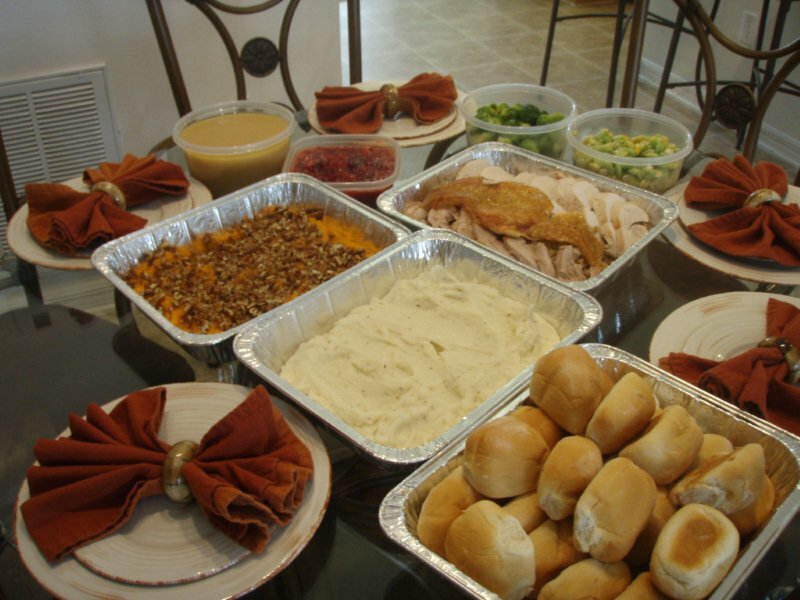 If you are going to be in the Orlando area and you are looking for someone else to cook your Thanksgiving dinner, I still have dates available next week, please give me a call. Peel and boil sweet potatoes until tender. Place in mixing bowl with syrup and butter, whip until smooth and fluffy. Pour into 9×13 baking dish. Topping – combine sugar and butter in large bowl and mix until lightened in color. Add in flour until mixture resembles corse meal with crumbs the size of peas. Spread evenly over sweet potatoes and bake in preheated 350 degree oven until bubbly and browned, about 35-45 minutes. Cook chopped bacon in a skillet over medium-high heat until cooked through. In a mixing bowl, combine bacon with cheddar cheese, cream cheese and ¼ cup Praline mustard glaze. Form mixture into a ball and set on serving platter. Pour remaining glaze over the top. Serve with Crackers. May be made a day ahead, remove from refrigerator about an hour before service to soften slightly. Do not top with additional glaze until ready to serve. 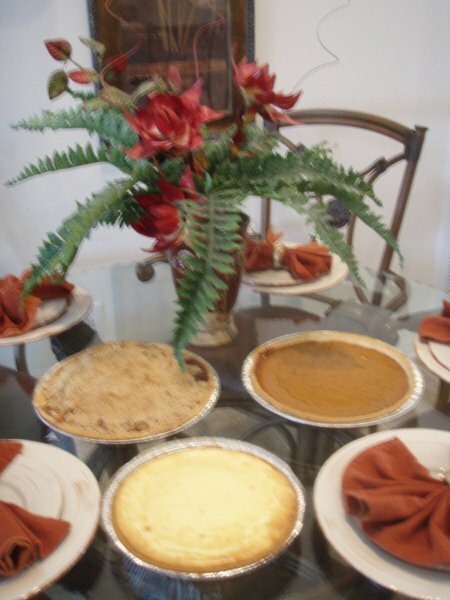 Today’s recipes are from my Library Seminar this week, Easy holiday entertaining. I will be at the Hiawassee Branch this Thursday, November the 11, starting at 6pm. Please stop by if you get the chance. Combine tapenade, lemon juice, garlic, and feta in a bowl and stir. Top individual toasts with spoonful and serve. May make one day ahead. To make this a hot hors d’oeuvre, preheat oven to 450 degrees. Place topped toasts on a baking sheet and bake 7-10 minutes. Place small amount of Brie on each toast. Place pecan pieces on top of Brie, and top with a dollop of Roasted Garlic and Onion Jam. To make this a warm hors d’oeuvre, melt Brie in microwave until just melted, about 1-2 minutes and follow above directions.